If a friend were to walk up and ask you to explain God, what would you say? Throughout the Christian Scriptures, God is spoken of as a Trinity. Simply put (as simple as possible to explain) the Trinity has three unique characteristics. 1) God has always existed as three persons.. God the Father, God the Son and God the Holy Spirit. 2) Each person is fully God and 3) there is one God. Now I know upon reading that it sounds completely crazy, but this is the reality found throughout the Bible and in the history of the church. As early as the first chapter in the Bible the Trinity is hinted at. When God created mankind, Genesis 1.26 states, “Then God said, “Let us make man in our image, after our likeness.” It is clear from this verse that there is a plurality to the Godhead. Some try to explain this verse away as it referring to the angels talking amongst themselves. But this is clearly not them talking, being that we are created in God’s image and not the angels’. This is also not the royal “we” as sometimes seen today for the Hebrew language that Genesis was written in did not have such a thing. Crazy. Here we see all three members of God the Trinity interacting at the same time. Jesus, having grown up and seeking to get dunked asks John the Baptist to baptize him. 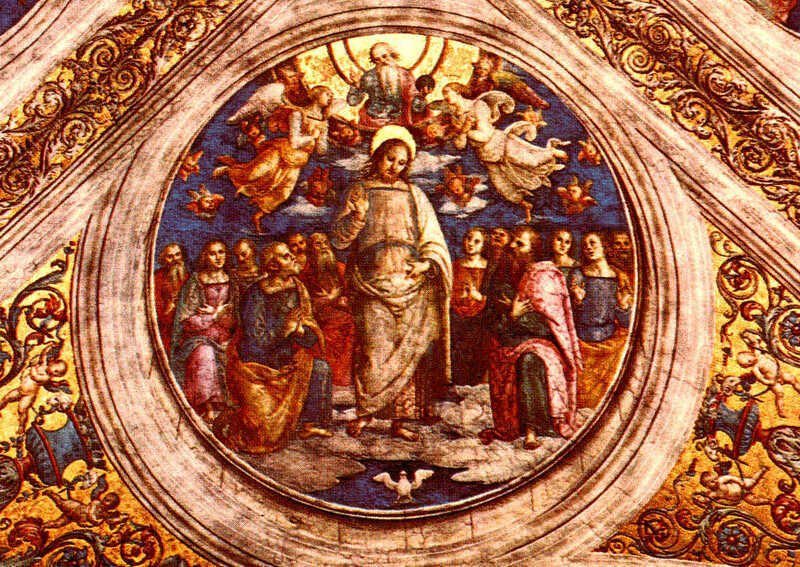 Having descended into the water, God the Father rips the sky apart for a brief moment and speaks, as God the Spirit descends on Jesus and empowers him for his ministry on earth. Throughout the Bible, there are also a few generalities about the roles of the three persons of the Trinity. As a generality, the Father is the one who sends the Son to come and save humanity, while Jesus came to do the Father’s will and redeem us, and both the Father and the Son send the Holy Spirit who comes and empowers believers and gives new birth or makes a person an actual Christian. In the next blog we will look at each of the three characteristics that make up the Trinity in detail. But until then, think about what exactly you have or have not been taught about who God is and even how crazy it is to try to wrap your mind around!